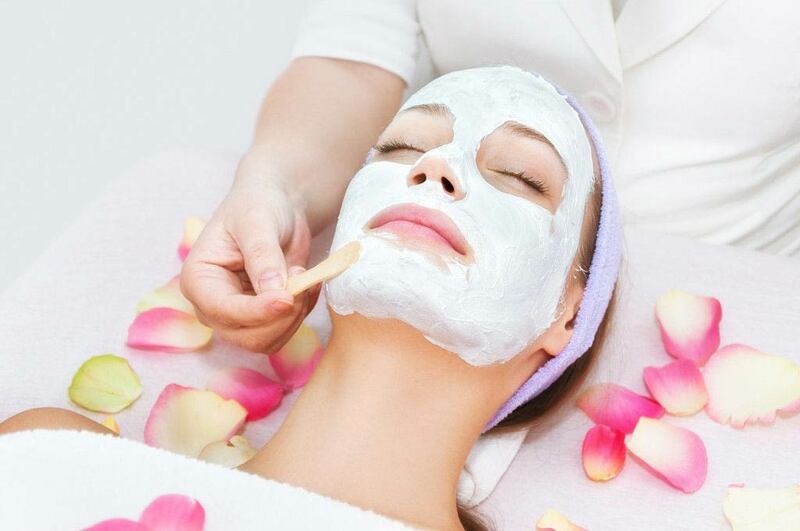 Customized Cleansing Facial (60 Minutes) $85: Enhanced classic facial includes aromatherapy face treatment, cleaning, exfoliation, steam, extractions and a customized rejuvenating mask. 100% Natural & Organic Facial (60 Minutes) $89: Customized organic facial based on principle of Ayurveda. Freshly extracted from fruit and vegetable enzymes, it provides ultimate nourishment to facial skin. Includes additional herbal cleansing, healthy exfoliation, and extractions resulting in profoundly soothing, pampered face. Purifying Facial (60 Minutes) $90: Excellent for problematic and/or acne prone skin. This includes a deep pore cleansing, exfoliation and custom blended mask. Teen Clinical Facial (60 Minutes) $69: This special treatment will expedite acne healing and promote clear skin. Gentleman’s Facial (60 Minutes) $85: This facial helps you reveal healthy skin while tackling razor burn and ingrown hairs. Includes face treatment, cleaning, exfoliation, steam, extractions and a customized rejuvenating mask. Mini European Facial (30 Minutes) $45: Best to fit into shorter schedule. A quick pampering of facial skin with shorter cycle of cleanse, exfoliation and nourishment. Includes face, neck and shoulder massage. Facial Rejuvenation (Therapy for face, body and spirit – all skin types). A visit with our esthetician professionals can leave you with glowing, radiant skin you won’t believe. Our Ayurveda Organic facial, European facial, glycolic treatments or skin peels will be customized to your skin type, conditions and needs. Your esthetician will provide an experience that focuses on precisely what your skin needs. In addition, our Ayurveda Organic facial include marma massage. European facials include a hand and foot massage to relax you to the level that you have not felt it before. We also have mini European facials for the people on the go to fit into shorter schedule for your facial needs. Always give your skin a boost with our mini facial.